Who is ready for 8 days of love and light? I know I am! I love Hanukkah and am getting my craft on. Above is an easy DIY Tissue Paper sign you can make for your mantle or door. 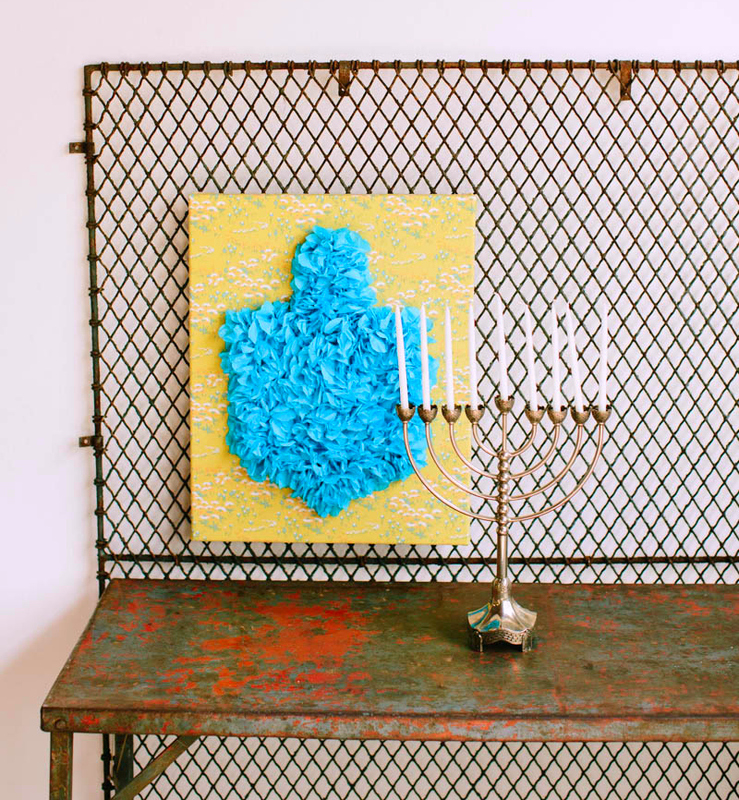 Get the tutorial here: DIY Tissue Paper Signs, or find an illustrated step-by-step in our book, Pretty Prudent Home (which also makes an excellent Hanukkah gift for any crafty jew in your life like moi. 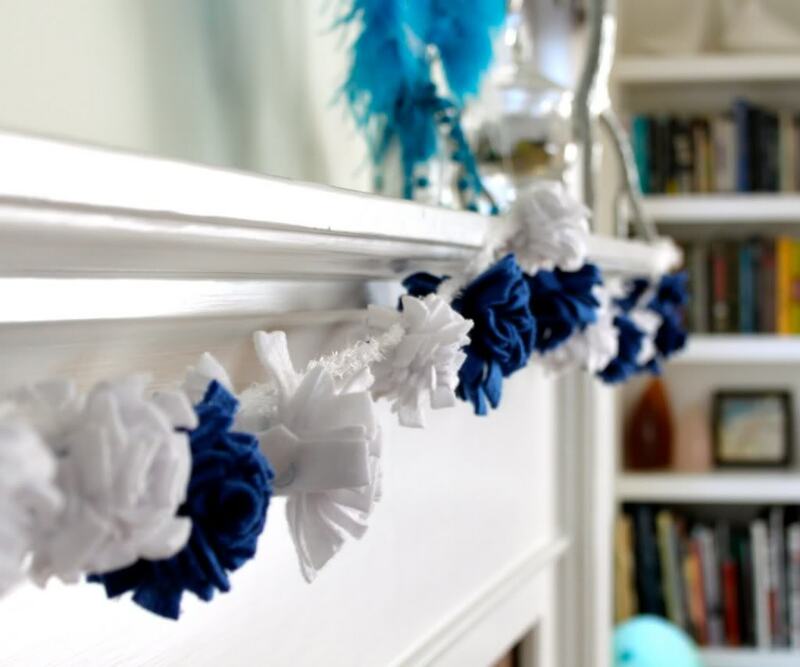 Make a quick, simple, but so-cute Fleece Pom Pom Garland for Hanukkah. 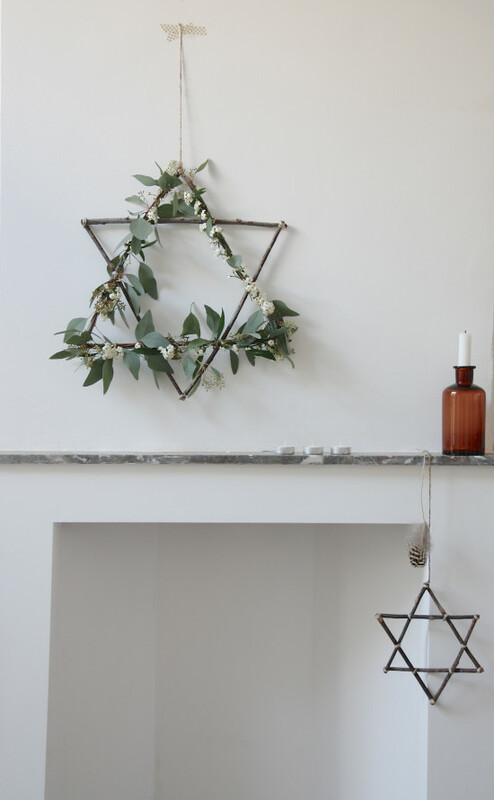 This blogger made her wreath for Christmas, but the DIY totally applies to Hanukkah! Get the tutorial from Holly at Avenue Lifestyle. This toy is adorable and only Hanukkah-specific because of it’s color choices. Make one for a baby you love! 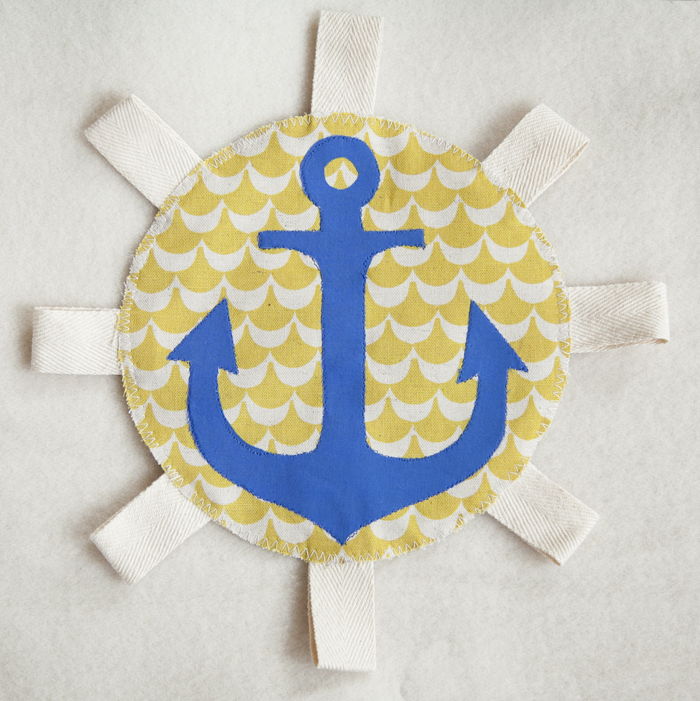 Get the tutorial here: DIY Crinkle Tag Toy. 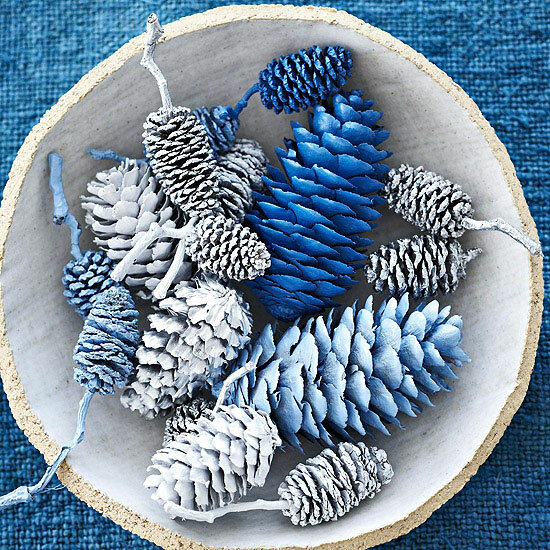 We adore the simple idea of painting pine cones in Hanukkah holiday colors, from BHG. 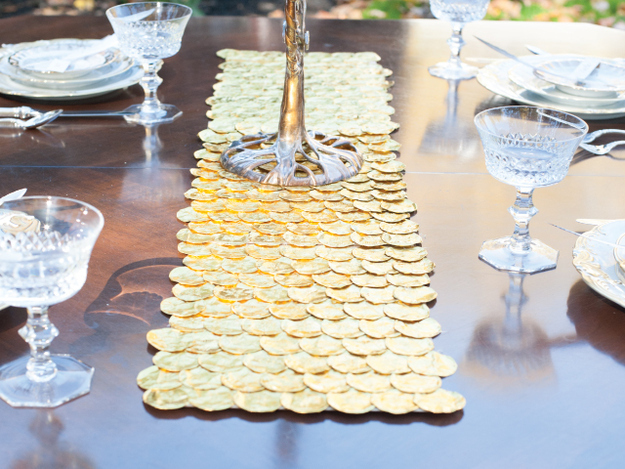 Make a table runner from all that yummy gelt! Tutorial at My Jewish Learning. 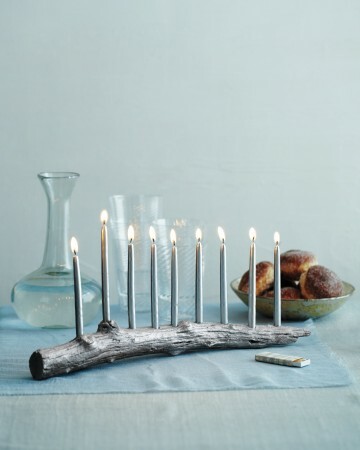 Make a DIY branch menorah with Martha. 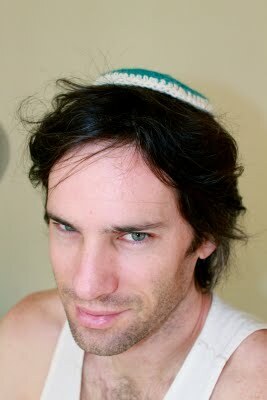 And my favorite, of course, it to Crochet a Yarmulke and make your husband model it on the internets for all to see. These are great ideas! I can’t wait to try them this year!